I‘m delighted to introduce you to author Ruth Trippy this week. Ruth lives near Atlanta and views cattle and goats—and her favorite store: Barnes & Noble—on her way to church. 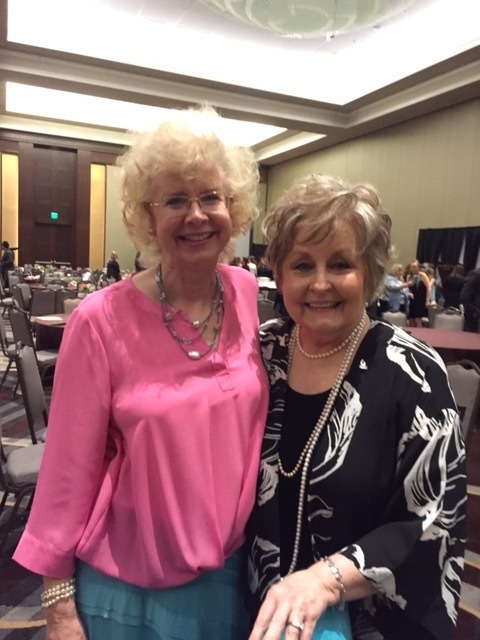 I met Ruth at the 2016 ACFW Conference. We sat next to one another at the Awards Gala and discovered a soul kinship. I’m very grateful for that preordained meeting, and now I want you to know this delightful friend. 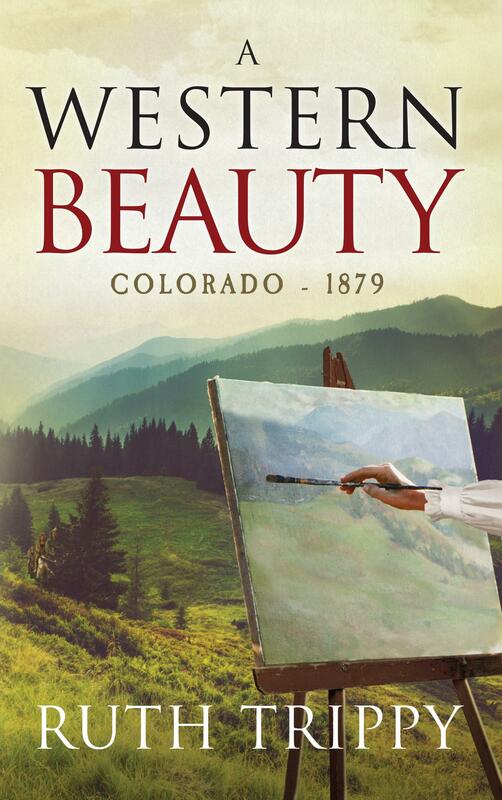 Ruth is giving away a print copy of A Western Beauty, Colorado – 1879 to one person who joins our chat below. Congratulations to SANDY BRINKS, winner of Ruth’s A Western Beauty! Thus, we parted. Little did I know that on arrival I would soon become ill. While sick in bed, God, figuratively, took a 2 x 4 board and hit me over the head. “He’s the ONE!” He said. When I finally told my husband about this call on my life, he laughed. “You don’t have enough imagination!” But one day, two years later, while reading a book on psychology, he looked up and said, “You’re supposed to write, aren’t you?” The Lord had spoken to him through a secular book! From then on, my husband became an ardent supporter. In fact, when I was bringing a casserole to church for a ministerial dinner, my husband caught me on the way to the car. He all but grabbed the casserole out of my hands to throw it onto the ground. 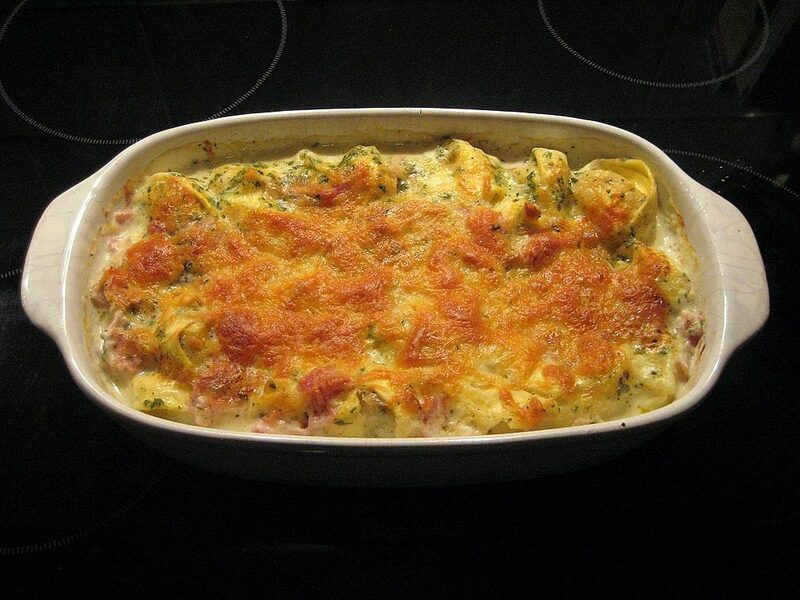 He shouted, “You’re supposed to write, not make casseroles!” Did I tell you my husband was not only dark and handsome, but volatile—the perfect alpha male for romance? 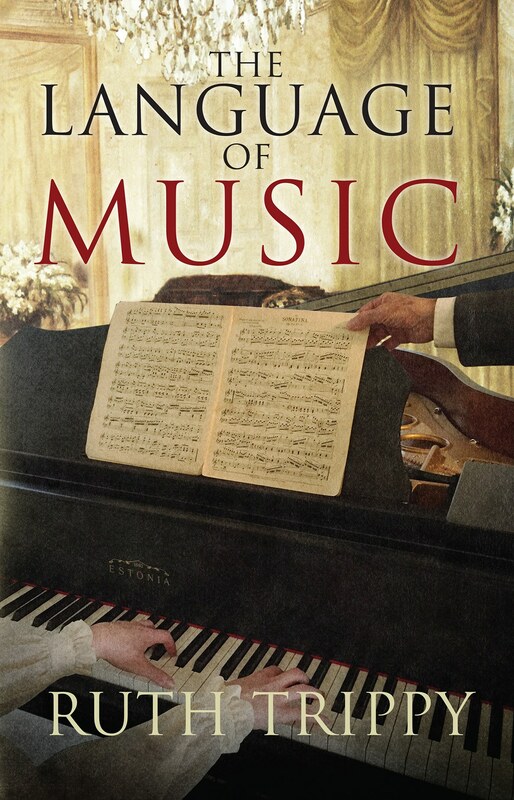 Two years after The Soul of the Rose, I published The Language of Music, a story drawing on my background in music. Publishers Weekly termed it a “musical, lyrical novel (that) will please fans of inspirational and historical romances alike.” Both books were set in the East in the 1870s. I traveled in the West as a teenager, but my interest grew after marriage when I discovered my father-in-law was a cowboy on the famous King Ranch in Texas. (Click to Tweet!) His grandfather had scouted out West for General Crook after the Civil War. Here’s a bit about my newly released novel—A Western Beauty, Colorado – 1879—that’s set in the West: Before finalizing her engagement to a Philadelphian attorney, socialite Sarah Whittington travels west to paint. However, she is confronted with the arresting mission of a Civil War veteran and the sometimes dangerous Ute Indians he aids. Now she questions her ambition to live the life of a highbrow Philadelphian. I hope everyone had a blessed holiday season! Please feel free to contact me on my website or Facebook. Print and eBooks are available on Amazon, Barnes & Noble, and Apple iBooks. Lord, You are faithful. You honor faithfulness in others. 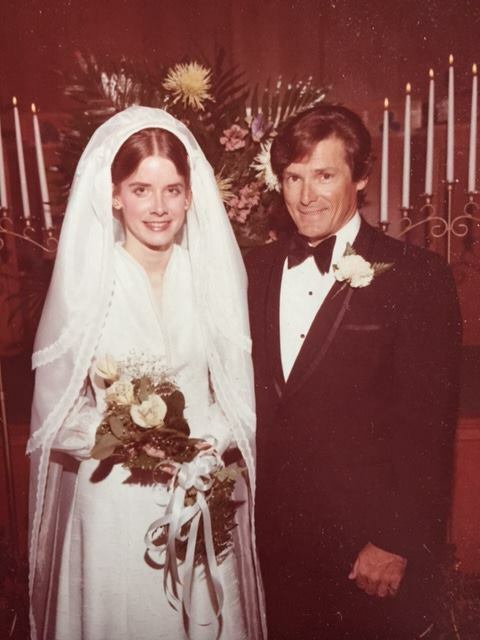 Decades now, your daughter Ruth has remained steadfastly devoted to You, her husband, and her calling. Now she’s reaching out to others with the message of Your faithfulness through fictional stories that spotlight Christ’s devotion to his bride, the Church. Bless each and every word Ruth writes for You, Lord. We’ll all be blessed. Hi, Linda! I sat at the table with you and Ruth at ACFW that year as well, and you are a blessing to know. Ruth is one of my critique group, and she has been such a great help to me in my writing journey! I enjoyed reading this interview with her. Thank you for sharing Ruth and her wonderful books with your audience! And I certainly remember YOU, Hope. I could tell then that you’re someone I’d love to know better. If I could live anywhere but near my children, I’d choose living near you two. I loved seeing your name here on the blog. I hope you’ll sign up and visit again. God bless you. YES! What a big happy night that was for the 3 of us! I wasn’t up for an award, but felt like I won one, I had so much fun. Hope is one of most natural writers I know. (Of course, to sound that “smooth” takes a good deal of work, as we all know!) Yet, as most writers of fiction know, there are so many “balls” to juggle to get a scene, a chapter, a book, RIGHT. And Hope is a GOOD JUGGLER! How exciting! Ruth and Ernie have been family friends for years. 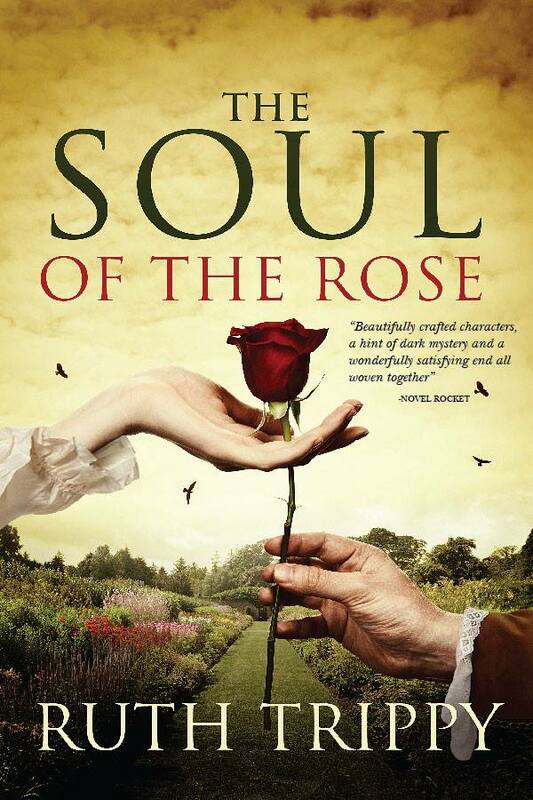 I loved The Soul of the Rose. Ruth’s writing is so good and her characters are very believable. She has inspired and encouraged me as a fellow writer. I’m reading The Language of Music now and I look forward to her new book. Congrats Ruth! I love “meeting” Ruth’s long-time friends who know her in ways I wish I did. But I’m grateful for God’s blessing me with a hint of the long-term relationship you’ve had. I’m so glad I count her as a long-distance friend. It’s great to have you in our circle. Please come again. God bless you and all those you love. How nice to hear from Bonnie! She not only writes Children’s books, but she is also wonderfully fit–like my husband and daughter. I’m so glad I’ve encouraged her in her writing; now, I need her to encourage me to be more fit! Thank you, Bonnie, for responding to this blog. We all miss your grandmother. appreciate that! Bless Ernie for his encouragement and his love. Oh, Candace. I would so love to have the privilege of the kind of relationship you have with Ruth. Just one evening with her and then a year and a half of keeping in touch from Texas have convinced me of everything you say about her. I’m blessed to know her. Thank you for joining the conversation. I hope you’ll return for other Christian authors’ interviews and blogs. God bless you. It is humbling to read Candy’s email. We have truly been through a lot together in different cities and states. My daughter said she doesn’t know of any two people who have kept such a close friendship going through email and text–due to one reason or another, it’s been quite a while since we’ve visited face to face. Candy put her finger on something: I think it’s the first time someone has said our story as a couple would make a great romance. In my novels, each male protagonist is his “own man,” yet a little of Ernie has crept into each one. After 43 years of marriage, I’m still trying to figure out this alpha male! 🙂 I have seen God make such changes in this man–with the wild background–that I would be a fool not to believe in God. Thank you, Candy, for being that friend who has prayed faithfully for us. What fun it was for me to read this blog! Much of this I knew before, but written in such an informative but entertaining way about my very lovable niece Ruth, and her fascinating life experiences. Her husband Ernie has truly been a part of the success of her novels since he himself is an interesting man and has often told added to the intrigue of her story lines. I can’t wait to read her fourth book when it comes out! Everyone of Ruth’s novels carries a profound Christian message! Hi, Anita! Your comments brought a smile to my face. How blessed you both are to be aunt and niece. I’m glad you enjoyed the interview and hope you’ll come again. This lady, my Aunt Anita, is a fascinating woman. She is a great reader, like my grandfather Rynbrandt was, and reads all kinds of authors, both deep and entertaining. I’m always blessed and challenged by her “take on life.” She has unusual wisdom and has been granted by God with a clear mind in her 80’s. She has counseled and helped many people over the years. I hope I have the same mind (and heart) when I reach her age! Hi there! 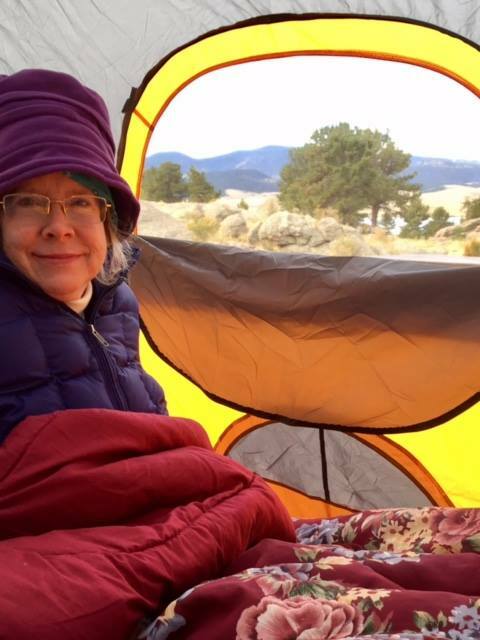 Thank you for publishing this wonderful post about Ruth! I’ve “adopted” her as a spiritual and writing mentor in the last couple years. I love her and her books. I’m about half way through “A Western Beauty.” She’s been so helpful and encouraging to me in many ways. Ruth has been there for me when I struggled with illnesses and a darker spiritual time. I’m so thankful the Lord placed her in my path! Blessings to both of you in the New Year! Welcome, Myrna! You are a highly favored one to have Ruth as a mentor and writing buddy. Your comments blessed me! Please visit again. Ruth’s first two books are great! I can’t wait to read this one. I only met Ruth and Ernie a couple of years ago, but they are so sweet and such faithful servants of the Lord! God bless you, Ruth. Teresa, I love that you joined our chat and that you can add a personal touch. Thank you. You’ve encourage Ruth and me both. God bless and please visit again. Teresa, I appreciate your encouragement about my first two books. It’s especially great to hear this from another author! Only another writer knows what really goes into completing a book and then getting it out the door to be published. 🙂 Thanks for your very kind words. Hi! What a wonderful and interesting interview with Ruth . We go way back …like high school 50 years ago, my husband and I were in Ruth’s class. She and I did not get much a chance to talk in October at our class reunion ,but loved her sparkling personality that has not changed . I would have loved to sit down with a cup of tea so we could catch up. May you have a blessed year as God shines His face upon you and inspires you. What a delight your comment is, Sandy. I know Ruth will love it. Thank you for joining us and for your sweet blessing over Ruth. Sandy, thank you so much for leaving a note after reading this interview. I, too, would have loved sitting down with you and sharing more than we did for our few brief minutes at the reunion, a reunion that I wouldn’t have missed for anything! Living “away from home my home in Michigan” I appreciate the old times and old friends so very much. At the reunion, I saw that you have an especially empathetic heart, a gift from God. Blessings to you and Mike! Ruth is a new author to me and her books look very interesting to me. Thank you for sharing. Have a blessed and Happy New Year 🎈. Hello, Lucy! Thanks for checking in on Linda’s post and meeting me and my books. I love reading, particularly novels with not only romance, but ones that give me a real feel of the era in which they happen. So, this is one aspect of my research I really work on and love! Blessings! Hi, Lucy. Welcome to our circle! Thank you for taking the time to join the conversation. Have a blessed and joyous 2018! 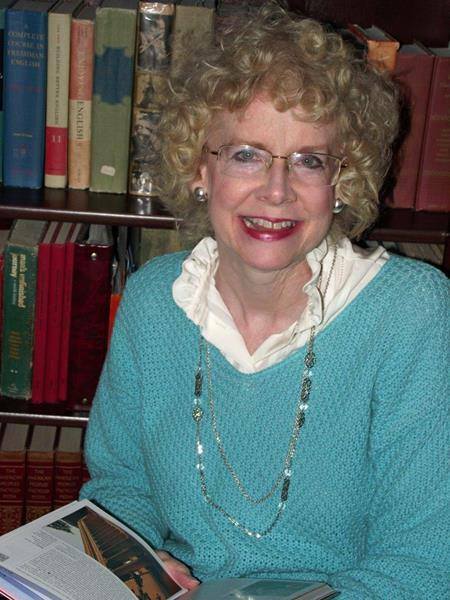 A lovely interview with Ruth Trippy, a new author to this reader. I always enjoy reading inspirational historical romances. Trippy’s books will fit perfect for this avid reader. Thank you for the giveaway opportunity. Blessings to both of you in this new year, 2018. May you see the favor of the Lord in all you do and His amazing gifts of peace, joy, love, grace and faith that only He can give. Hi Marilyn. You sound exactly like me, someone looking for that next great book to read. Before I retire for the night, I spend an hour or two reading. This is not only pleasurable, but also “fills” the emotional well, so that I am better able to write the next morning. Blessings to you!